From Quantum Mechanix. From Star Trek: Discovery comes all new Starfleet Federation insignia badges brought to you exclusively by QMx. The American television series with a Fall 2017 is set a decade before the original Star Trek series. 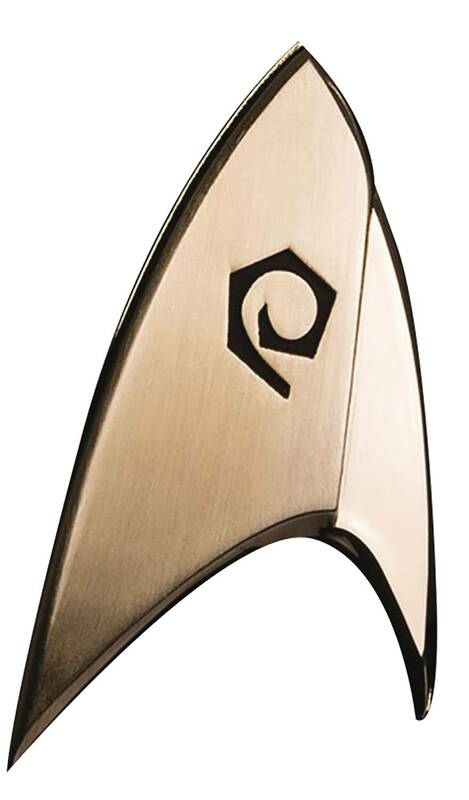 Discovery's badges feature a unique split-delta design, with brushed metal on the raised portion and a glossy finish on the opposite side. 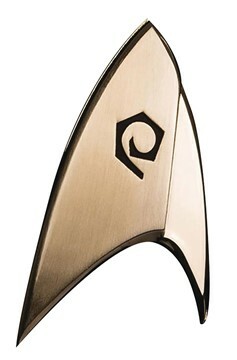 As with all of the QMx Starfleet Division badges, the ones for Discovery are exact replicas of the uniform insignia from TV series, with each design taken directly from the screen-used hero prop. What sets these wearable badges apart from the original is the clasp, which uses strong, short-field magnets that are embedded in each badge itself and in a glossy backplate. No more pinholes in delicate fabric. They can even be worn on leather and suede..